Don’t want to turn in for the night quite yet? Or perhaps you want to spend a nice evening with friends or party on until the small hours? No problem. You’re in the right place! Nuremberg has it all, from hip bars and karaoke venues to stylish clubs. Perhaps you don’t fancy the club atmosphere, but still want to socialise and listen to some music? Then the Cafe & Bar Celona Finca is the place for you. The Cafe Bar opens its doors in the early hours of the morning and doesn’t close until late at night. Tastefully and comfortably furnished, it lends the Old Town a touch of Mediterranean holiday flair. In addition to a wide assortment of meals, it also offers a fantastic selection of long drinks and cocktails. The central location makes the Cafe Bar a popular place to go. Booking in advance is recommended for the evening. If you’re here in summer, why not make the most of the outdoor area on the banks of the Pegnitz river? The popular club in Klaragasse isn’t one of the “big” clubs, but it always attracts a large number of guests, who particularly enjoy the variety of music and wide range of events on offer. For the past 17 years, das Unrat is the party location in the centre of Nuremberg. Party with friends, high spirits and good drinks. 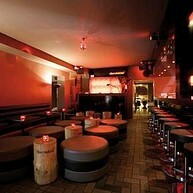 Since its opening, the Bar Nürnberg is characterized by varied and a versatile range of offers. A harmonious blend of classic and time-tested drinks encounters new, exciting compositions. Located in the Old Town directly at the river Pegnitz, this trendy bar with an extraordinary interior design is definitely a hotspot! Its programme offers live music and different events. Speciality of the house is the home-made Limes drink, made from vodka and fruit purée. 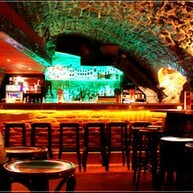 The iconic basement bar in the castle district of Nuremberg offers you parties, cocktails and a certain feeldgood factor. The music is all about 80ies and 90ies. An old-established bar in Nuremberg with character. 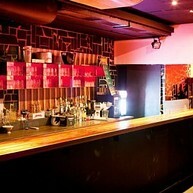 The bar has been an address for sophisticated bar culture for over 25 years. There is a large selection of very good liquors and delicious cocktail variations. 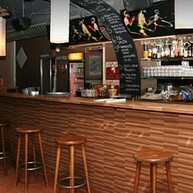 The bar offers local beers, craft beers and long drinks at fair prices and alternative music. Once a month a live band is playing and on the walls are changing exhibitions of regional artists. A pleasant atmosphere in a living room styled bar. 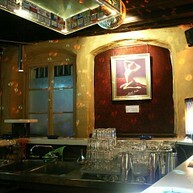 This club has been part of the Nuremberg nightlife for more than 20 years. In the "House of Sound" DJs put on music ranging from Black to House for all the dance-mad people. 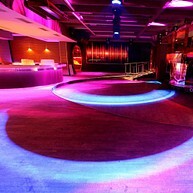 Bars, VIP-area and the DJ's desk are arranged around the centred dance floor like a colosseum. High-class events guarantee a very special programme! Located in the beautiful Weissgerbergasse, the Mata Hari Bar enjoys a great location and is certainly one of the smallest bars in Nuremberg. But the selection of drinks certainly isn’t small. 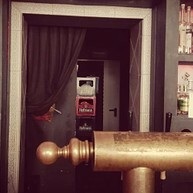 Patrons can choose from more than 40 cocktails, 20 types of whiskey and a wide range of beer. But its real appeal is the “living room music” concept, where live music is played on a miniature platform. Hence the bar receiving the title of “Germany’s smallest live bar”. With creative-chaotic seating, you can enjoy Franconian beers. If you don’t like beer, you can try the high quality liquors like the buffalo-grass vodka or single malts from Scotland. An alternative bar with a slightly different style. The homemade fries, said to be the best in the city, are extremely popular. The cosy Irish pub with its generously-sized vaulted cellar boasts a fantastic location right next to the Pegnitz river and is not far from the Cinecitta cinema. 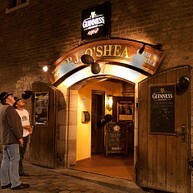 Here, you’ll be served classics such as Guinness, Irish whiskey and cider. It’s the perfect venue for a fantastic night with friends. The beer garden is open in summer. Booking in advance is highly recommended. In the Schmelztiegel you will find good music, young people, high spirits, great DJs and a large assortment of selected craft beers.